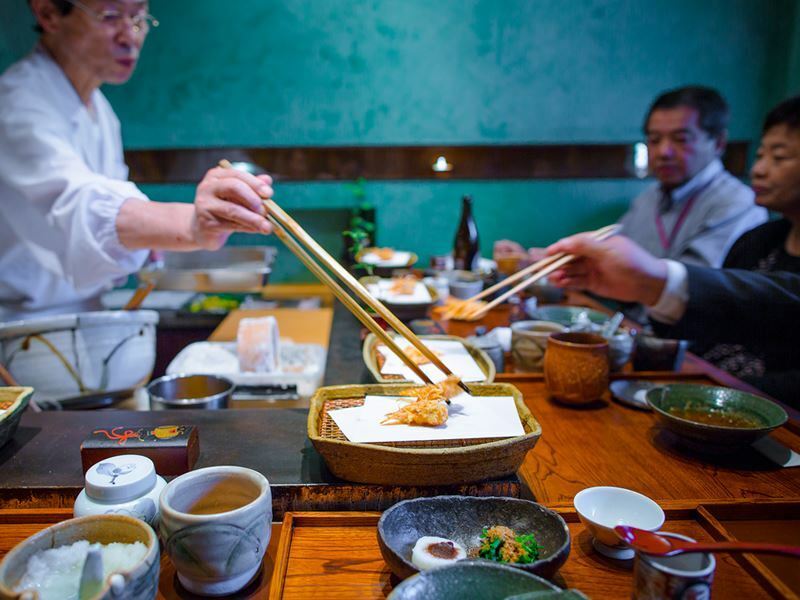 Home to more Michelin-starred restaurants than any other city in the world, Tokyo is undoubtedly one of the most exciting places for foodies to visit. From traditional restaurants serving time-honoured recipes that have been in the family for generations to trendy new establishments with young chefs pushing culinary limits to make names for themselves, Japan’s capital city has got so many diverse and outstanding dining options that it’s almost impossible to have a boring meal. To help you decide where to make a reservation (these places get booked out months in advance – you definitely need to make a reservation) here are the top 10 fine dining restaurants in Tokyo. 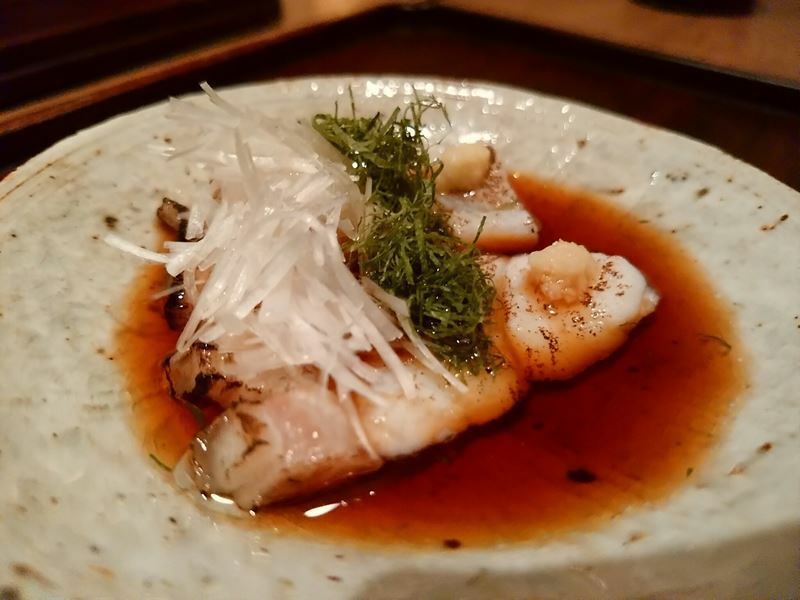 The scene: A minimalist place with a single wooden table big enough to seat just nine lucky diners, the focus at Mikawa Zezankyo is squarely on the food. Each table affords a perfect view of the open kitchen where you can watch veteran tempura master Tetsuya Saotome work his magic creating bite-sized pieces of pure heaven, just like he has done for the past 30 years. From sweet, buttery prawns and wonderfully flaky white fish to deep, earthy mushrooms and bright, clean asparagus, all the seafood, fish and vegetables at Mikawa Zezankyo are coated in the perfect amount of tempura batter and lightly fried at the optimum temperature. This results in bite after bite of pure bliss with thin, crispy batter that’s not oily or greasy in the slightest. The tempura menu is completely void of any meat, but the superb quality of the fresh ingredients used, combined with the expert techniques of the sole chef mean that even the most carnivorous of foodies won’t feel deprived. Signature dish: Matsutake Pine Mushrooms, only available in autumn and prepared in the same classic tempura style as the rest of the menu. The scene: With its basement setting that proves more than a little difficult to find, you might be tempted to skip dining at Seizan. But to do so could end up being one of the biggest foodie regrets of your life. 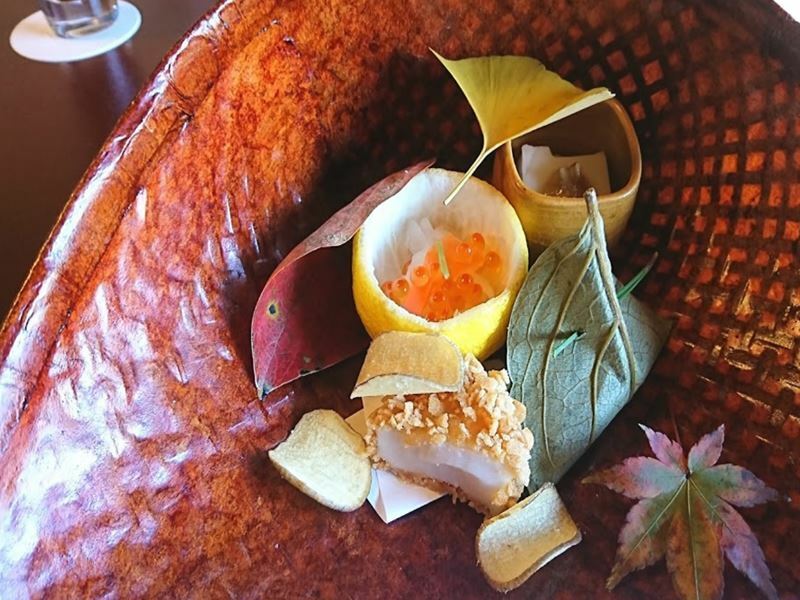 This two Michelin-star restaurant serves traditional Japanese set menus made up of multiple courses that focus on the understated flavours and textures of fish and seafood. From tender eel served on a bed of creamy mashed potato flooded with the signature Japanese dashi broth to light and fluffy fava beans served with mackerel covered in a thin and crispy batter, everything on the menu is sublime. To complement the food, there’s a relatively large selection of beers, wines and sakes available for reasonable prices. Diners can choose between a private table in a separate dining room, a casual sofa setting or (the best option) a front row seat at the counter when you can watch the chefs prepare the dishes. 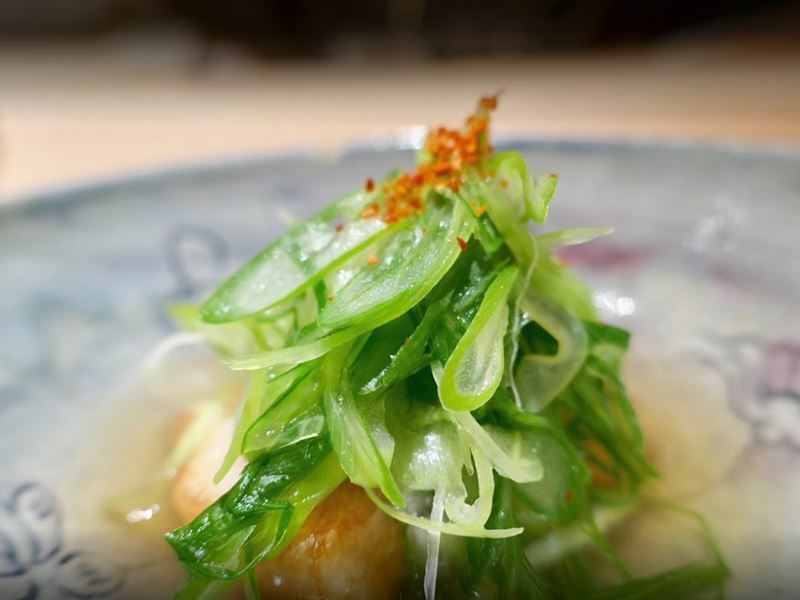 Signature dish: Jagaimo Hari-Hari, delicate strips of thinly-sliced potato. The scene: Delivering cuisine that highlights the best of Japan’s four seasons, Kikunoi Akasaka treats each of their dishes as an expression of life and a homage to nature which provides all the essential elements of a good meal. 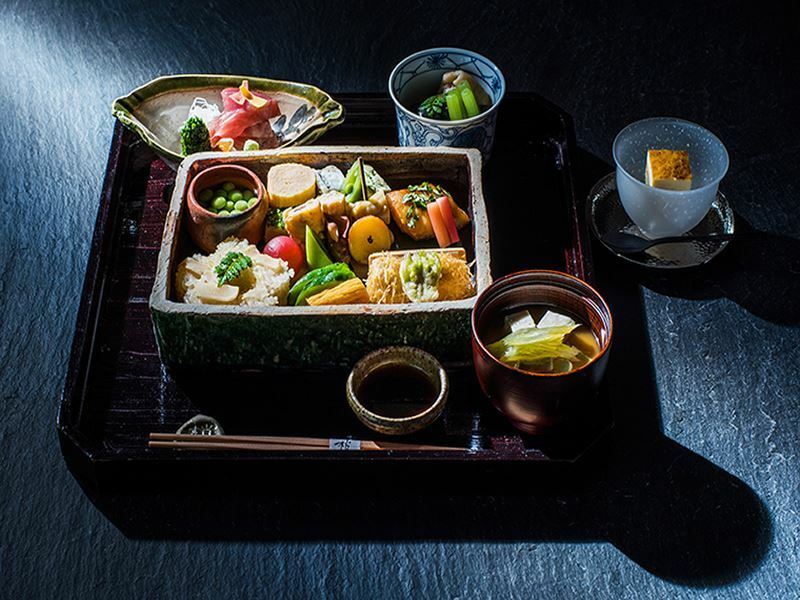 The menu changes seasonally at this two Michelin-starred venue, but it’s always based on Kyoto’s traditional style of multi-course dining that focuses on which ingredients are at their finest throughout the year. Harmoniously blending ancient ingredients with modern techniques produces beautiful dishes that feed not just the stomach, but the eyes and the soul, too. Expect luxurious offerings, such as lobster sashimi with miso, young Bluefin tuna served with a soy-yolk sauce and wild boar hot pot with daikon radish. Mimicking the menu, the interior décor reflects each passing season through transitioning artwork, flower arrangements and decorations, providing diners with a new environment with every visit. Signature dish: Due to the seasonal nature of the menu, there is no signature dish. The scene: Hiding behind a clandestine entrance that’s discreet even by Japanese standards, Ishikawa is a traditional Japanese restaurant known for its attentive kimono-wearing servers, seasonal multi-course kaiseki menus and the incredible talents of its three Michelin-starred chef. The alluring garden that guides you to the front door is always laden with seasonal foliage, belying the seasonality of the menu and the freshness of the ingredients that await you inside. Whether you opt for one of the serene private dining rooms or a seat at the action-packed counter, your dining experience will be filled with playful touches on traditional Japanese cuisine. While each plate walks on the edge of simplicity, there’s always something to make you stop mid-chew and contemplate the sensations overtaking your palate. From tempura and sashimi to simmering and searing, the chef walks you through all the traditional Japanese cooking techniques, showing off his flair for creativity along the way and treating you to a dining experience you’ll never stop talking about. Signature dish: Charcoal-Grilled Eel Served with Sweet Onion. 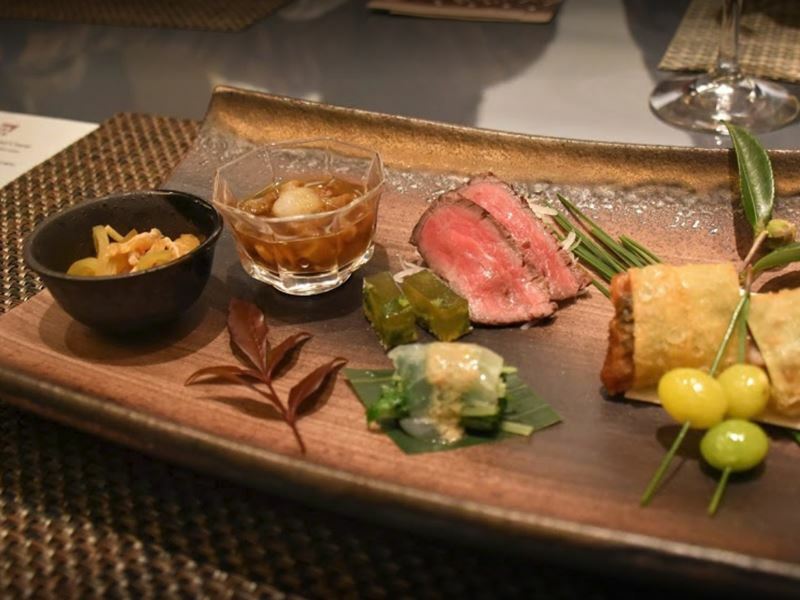 The scene: The home of top grade Kobe beef paired with an exquisite wine selection, Kobe Beef Kaiseki 511 is named as such because it only uses the highest quality of meat available – A5 grade beef with a marbling value of 11. Combing redolent flavours, smooth palate sensations and sublime textures, the head chef at this exceptional restaurant showcases the famous beef and lets its signature elements shine through in each mouthful. The Kobe steaks are a particular delight, cooked in a hearth oven that can reach 1,000°C, giving the meat an incredible aromatic exterior and a tender, juicy centre. But there’s much more to the famed beef than just steaks. Kobe Beef Kaiseki 511’s menu opens up a world of inventive indulgences, from shredded Kobe beef with roasted aubergine and Kobe beef shank in a fish dumpling ball to Kobe beef jerky and even Kobe beef sushi. Signature dish: Flame-Baked Kobe Beef Sirloin Steak. 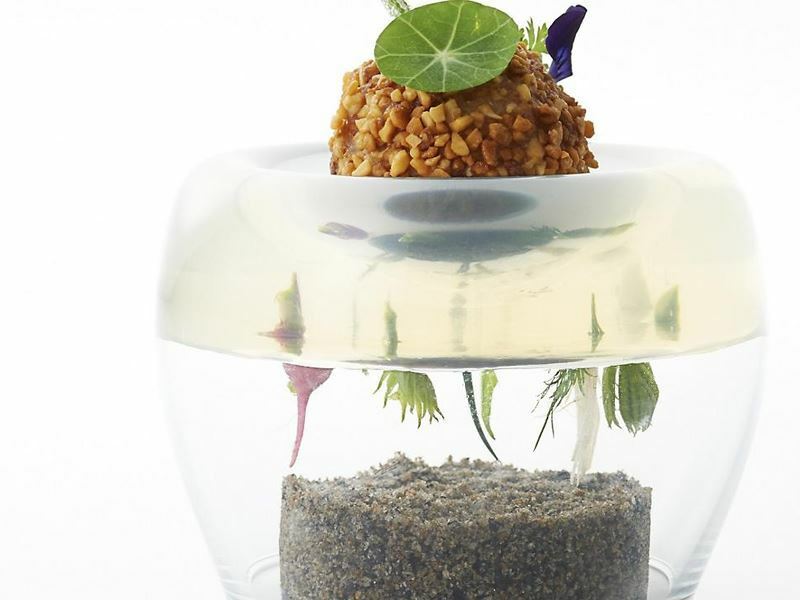 The scene: Highlighting sustainability and gastronomy, Narisawa is one of Tokyo’s pioneers in creating cuisine that’s connected to preserving our environment. The head chef takes his inspiration directly from farmers’ fields, resulting in avant-garde dishes created with genuine wood and soil that are entirely safe (and superb) to eat. The idea is that by getting back to your roots and consuming natural ingredients, you’ll gain a deeper relationship with the natural world and with our environmental concerns. To complement the earthy ingredients served at this two Michelin-starred restaurant, there’s an exceptional wine list, with a selection of reds, whites and roses sourced from across Japan. In contrast to the earthy menu, the dining room is modern, clean and minimal, with a black and white colour scheme dominating the dining room that holds just eight tables and an open kitchen. Signature dish: Soil Soup, a unique Japanese soup with hints of earthy coffee. The scene: The entrance to Tokyo Shiba Tofuya Ukai is one of the most beautiful places you’ll visit in the city. So authentically Japanese it borders on cliché, the passageway to the restaurant takes the form of a charming garden adorned with delicate pine trees, ancient-looking statues and, to add the perfect finishing touch, a huge pond teeming with Koi carp. The inside of the restaurant is just as visually appealing, with gorgeous flower arrangements, cherry-coloured wooden accents and classic hanging lantern lighting that hints at the quality and authenticity of the food to come. 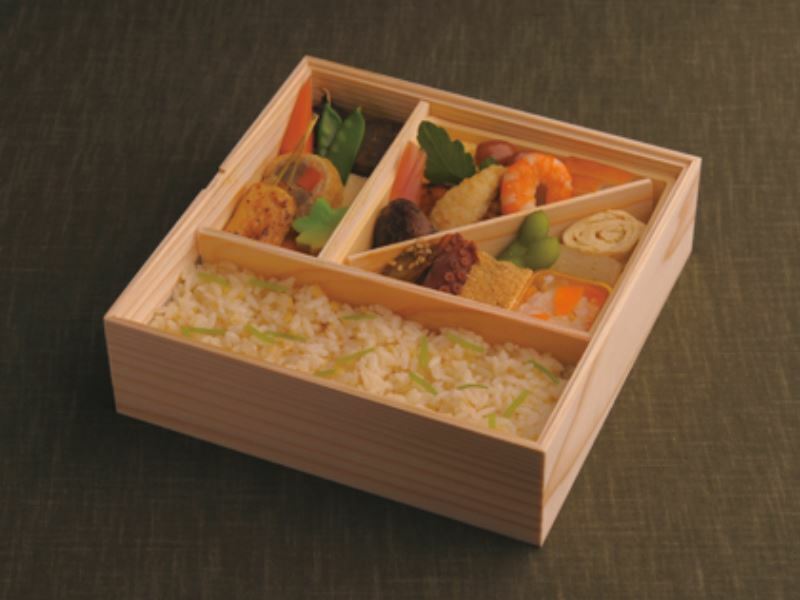 The star of the menu is tofu, made freshly in-house with high quality soybeans and spring water to give it a uniquely rich taste. Despite the seasonality of the dishes, this signature item appears on every set menu, alongside equally subtle and luxurious Japanese dishes, such as deep-fried tofu served with miso (another speciality), charcoal-grilled Ukai Wagyu beef and steamed rice with lily bulbs and salmon roe. Signature dish: Tosui Tofu, tofu served in warm dashi-seasoned soy milk. The scene: An incredible restaurant specialising in one-of-a-kind dishes you won’t find anywhere else, Sushi Yoshitake is the place to go to try the best sushi in the world – no exaggeration. Offering hungry diners a tiny dining room no bigger than the one you have at home, this seven-seater restaurant imbues intimacy, exclusivity and a great anticipation of what is about to come. 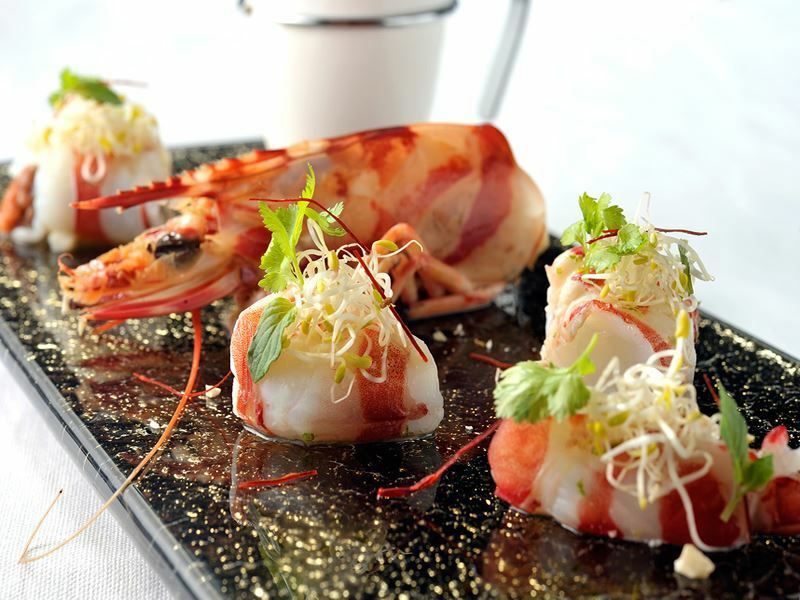 The cuisine is presented in the form of a tasting menu, with a selection of mouth-watering sushi bites mixed up with a handful to tsumami small plates. Combine the friendly, comfortable atmosphere with the excellent, beyond-perfection food and the result is almost like popping round to your best friend’s house for dinner – if your best friend was a three Michelin-starred chef. Chef Masahiro Yoshitake takes unprecedented care that each individual piece of sushi is presented on a perfectly-formed oval bed of rice and that each slice of sashimi has been cut exactly the way he desires. To watch it all unfold before your eyes before being served up to you is a real treat. Signature dish: Thinly-Sliced Abalone with a Liver Sauce. The scene: Successfully mirroring the hospitality and ambiance of a traditional Japanese tea ceremony, this tiny fine dining restaurant is where chef Takazawa prepares complex French-Japanese fusion dishes just ten guests are privileged to enjoy at each sitting. 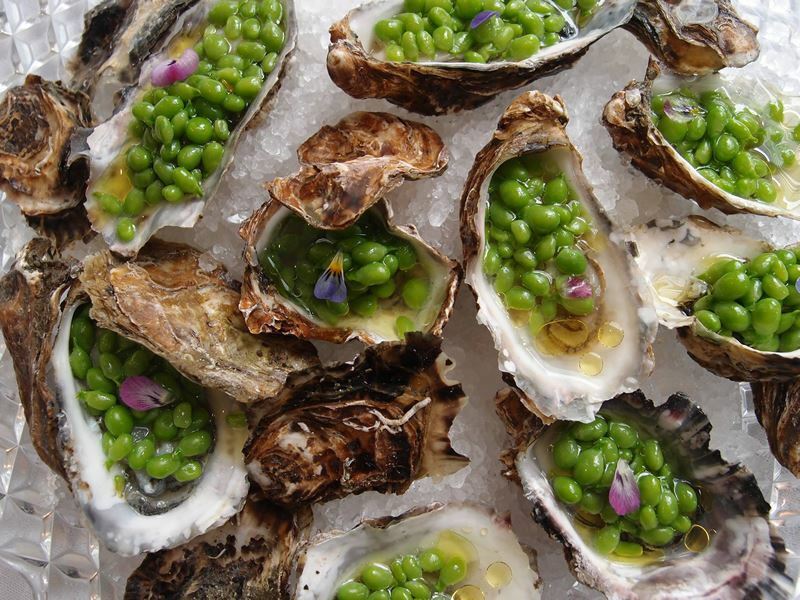 Every immaculately-presented dish here really is too beautiful to eat, with bright, bold colours fighting for attention, fragile graceful flowers providing an uplifting accompaniment and seafood poised to look like it’s sacrificed itself for your gourmet pleasure. The fusion theme is greatly rewarding for diners, providing them with something with a comfortably familiar name and serving it in a creative, artful way that’s completely unexpected. The show is every bit as good as the food here, with the solo-working chef creating culinary magic out of elementary ingredients with flair in his dramatically lit open kitchen, assisted by his wife who serves each morsel with charm and warmth. Signature dish: Ratatouille, a mosaic-like terrine created with various brightly-coloured vegetables cooked in different ways. The scene: Self-described as the place to feed your imagination, Tapas Molecular Bar exceeds even the highest of culinary expectations. With just eight seats available, this one Michelin-starred restaurant offers an extremely intimate dining experience that truly celebrates the art of innovative molecular cuisine. Tucked into the stylish Oriental Lounge on the 38th floor of the Mandarin Oriental hotel, this stellar restaurant dishes up two-hour multi-course lunches and dinners comprised of outstanding dishes designed to fool your eyes and taste buds. The chic open-air kitchen lets you watch the team of talented chefs create the bite-sized delicacies in front of your eyes, manipulating texture and flavour combinations to stimulate your mind as well as your palate. 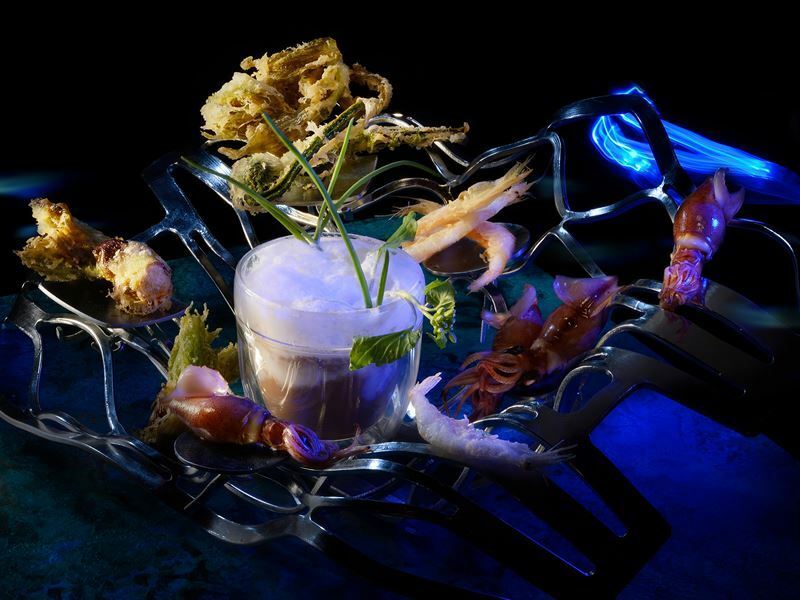 Unimaginably ingenious creations, like gazpacho served frozen inside a tomato-looking jelly, a lifelike seascape complete with crab and shark, and a dessert of miracle fruit paired with sour citrus are just a tiny example of the magic hidden within Tapas Molecular Bar. Signature dish: Smoke, chicken oysters and gooseberries served in a mason jar filled with trapped smoke. With such a huge choice of phenomenal restaurants available throughout the city, it was impossible to cap this list at just ten. So to tempt all foodies to do nothing but eat from dawn until dusk while visiting Japan’s capital, here are six more sensational fine dining restaurants to try in Tokyo. Delivering jaw-dropping dishes with flavours inspired by the head chef’s culinary experience in France, Spain and Japan and astronomically creative Blumenthal-like presentation. An elegant and intimate dining room with limited spaces that specialises in traditional Japanese charcoal grilled dishes with a subtle twist, available in set menus comprised of at least eight seasonal plates. Enjoying an elevated location on the 40th floor, this modern Japanese eatery boasts incredible views across to Mount Fuji and a gourmet menu laden with the finest seasonal ingredients used to create home-style dishes. 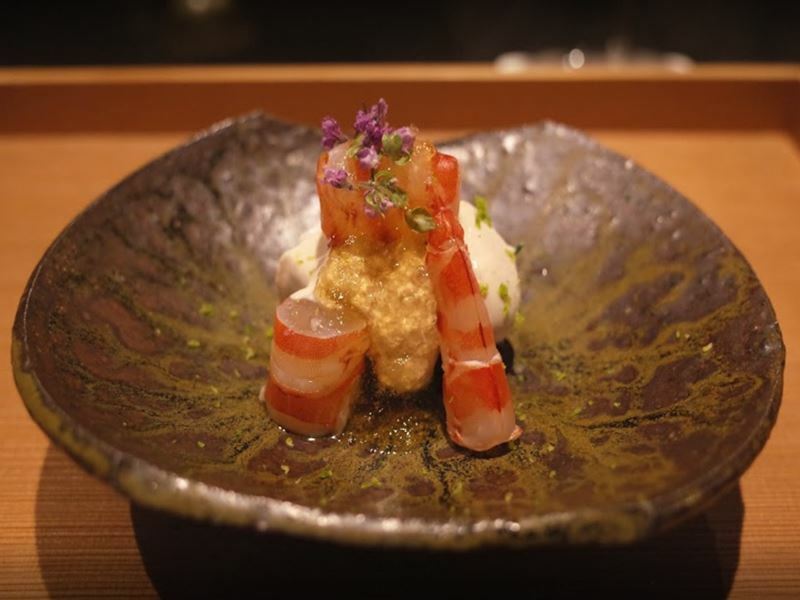 Very close to the top on The World’s 50 Best Restaurants list, this sophisticated restaurant serves traditional Japanese cuisine with a style and sensibility that makes it accessible and enjoyable for everyone. Treating foodies to sublime Japanese food served in the form of a multi-course menu showcasing ultra-fresh seasonal ingredients and masterly presentation in a cosy, minimalist space with a tranquil zen-like vibe. Maintaining the tradition of Edo-style sushi with a modest dining room overlooking the chef’s preparation area from which an incredible Omakase tasting menu is served, comprised of 20 perfect pieces of sushi.